Element 22 was named after the Titans – sons of the Earth – in Greek mythology. 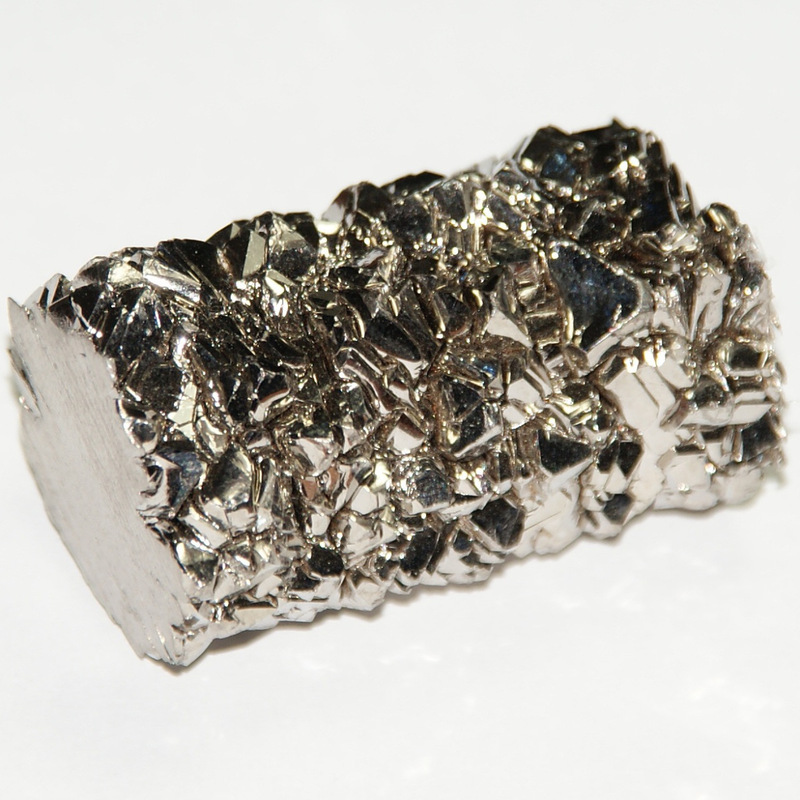 Titanium was discovered by William Gregor in 1791 in Cornwall, England and it is the ninth most abundant element in the Earth’s crust. It is found in minerals such as rutile, ilmenite and sphene. Pure titanium was first produced in 1910 by Matthew A. Hunter. Titanium is a strong light metal: to get in idea, it is as strong as steel, but 45% lighter. It is resistant to corrosion and does not react with the human body; it is paramagnetic and has a low electrical and thermal conductivity. Due to its characteristics it is used in a number of components that are exposed to sea water. In alloys it is used in airplanes and rockets, and in implants such as artificial hips, pins and other biological implants. Titanium oxide (TiO2) is used as a pigment to create white paint and accounts for the largest use of the element. Titanium tetrachloride (TiCl4), another titanium compound, has been used to make smoke screens. Pure titanium oxide is relatively clear and is used to create titania, an artificial gemstone. Powdered titanium is used in pyrotechnics as a source of bright-burning particles. Interesting to get this historic and scientific background on titanium, and what a beautiful photo! I use titanium for jewellery and find it amazing to work with, especially for the colours you can get by oxidation. Excellent! I’m glad you found it interesting.